Save 66% on the Shaun White Supply Co. Stunt Scooter + Free Shipping! The Shaun White Supply Co. 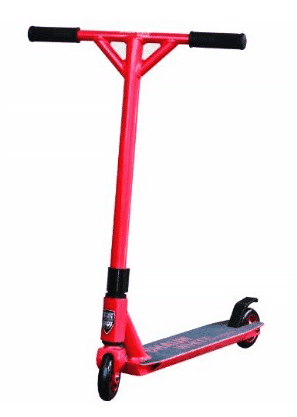 Stunt Scooter (in Red) is on sale for $54.89 at Amazon right now. That's 66% off the list price of $160.00! This stunt scooter is also available in White for $66.59. 1 piece, extra strong handle bar assembly with comfort grips.